Atlanta is a city unlike any in the world. It was literally burnt to the ground and was able to rebuild bigger, better, and stronger than ever. And though there are things we may never understand about our home, it's pretty damn great. Hell, we even gave the world Coca-Cola and Ludacris. But, as we all know, in order to truly appreciate a place, we need perspective. A sojourn away, if you will. With that in mind, we rounded up 14 remarkable destinations just outside of ATL, all in or around the Peach State. This property near Columbus, Georgia offers lots of activities for all age ranges and group sizes. 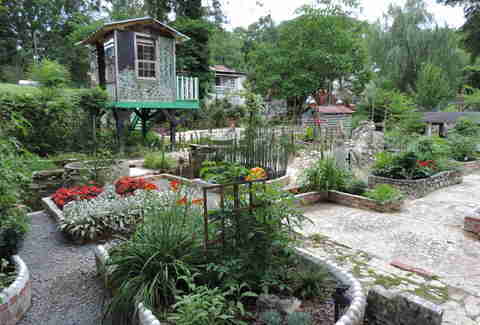 We’re talking hiking, water sports, ziplining, and meandering the beautiful gardens, of course. 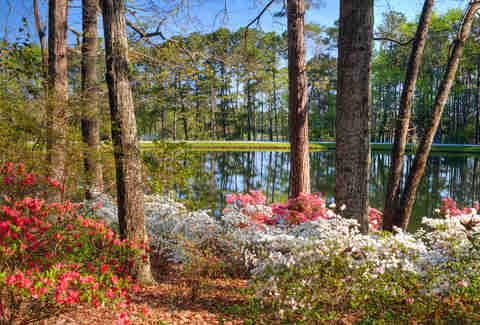 So if your next family reunions needs a little refresh, Callaway Gardens might just keep everyone occupied and having fun. Don't leave without: Going to Montaluce. The winery transports you from North Georgia to the rolling hills of Tuscany. Everything from the vine rows to the restaurant to the houses on this property -- which you can book for a weekend stay -- will make you believe you’re in Italy. Helen is an adorable Germantown nestled in the mountains of North Georgia. 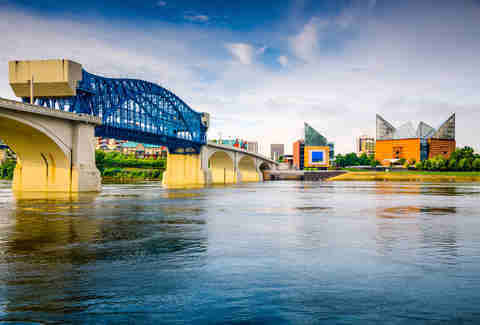 This place is great for celebrating Oktoberfest in the fall, tubing down the Chattahoochee in the summer, or simply exploring its kitschy souvenir shops any time of year. Don't leave without: Hiking one of the nearby trails, like Raven Cliff Falls or Yonah Mountain. This college town’s casual vibe belies the fact that it’s also an incredible place to catch live music. Home to R.E.M., The B-52s, Widespread Panic, and more, it’s no wonder Athens made Rolling Stone’s list of the top 10 schools that rock. Oh, and it’s not a bad place to get a drink and grab a bite either. Don't leave without: Splurging on brunch at Top Chef Hugh Acheson’s restaurant Five & Ten after a night of rocking out to up-and-coming bands at venues such as 40 Watt and Georgia Theatre. You’ll unquestionably feel like you stepped back in time when you visit this tiny, sleepy mountain town. Surrounded by scenic trees and hills, it’s jam-packed with friendly locals, festivals, and park attractions and myriad activities for the nature lover -- as well as the very creepy Corpsewood Manor, plagued with a gruesome history. Don't leave without: A trip to Howard Finster’s Paradise Garden. It's a maze of buildings, sculptures, paintings, and displays throughout. An extremely beautiful waterfall, Toccoa Falls -- the Cherokee word for “beautiful" -- is the South’s answer to Niagara Falls. 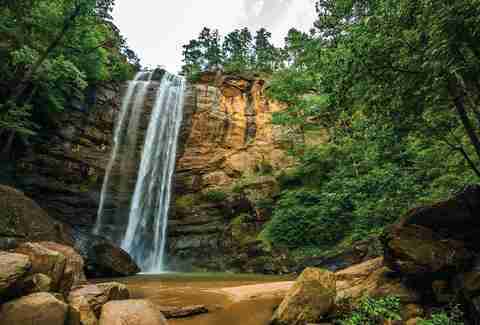 A semi-hidden gem, it’s the highest single-drop waterfall east of the Mississippi. A dazzling 186 feet of swirling water that swiftly plunges into an equally gorgeous canyon, it’s an impressive 26 feet higher than Niagara Falls. Bring along your hiking shoes and a picnic lunch. There are lots of wooded spots to relax and eat while taking in the majestic falls. In addition to being the highest mountain in Georgia, it’s also arguably the most beautiful. 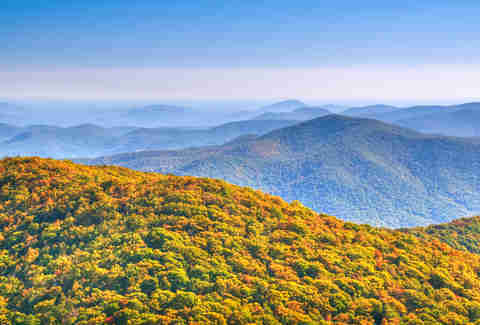 From atop the towering observation deck perched nearly 5,000 feet above sea level, visitors can catch breathtaking 360-degree views that, on clear days, include Georgia, Tennessee, North Carolina and South Carolina. Don't leave without: A quick top into Sunrise Grocery. In business since the 1920s, they offer up deliciously authentic Southern eatin’ like hot boiled peanuts, country ham, and homemade jams and jellies. With museums, river cruises, and a plethora of city tours available, Chattanooga rocks, but the city’s Riverwalk is not to be missed. Chock-full of shops, parks, restaurants, bars, and more, we’d say it’s endless fun, but it’s actually 13 paved miles. Don't leave without: Booking a spot at the Chattanooga Choo Choo. It was once the terminal station for the Southern Railway line, and you can sleep in style in a gorgeously restored, authentic sleeper car, once available only to the mega-rich. 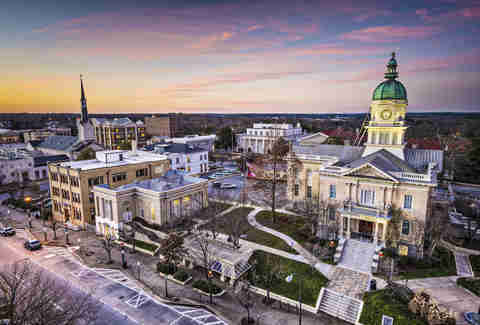 Alabama’s largest city has a rich civil rights history and has undergone a cultural revival in recent years that has seriously upped the city’s already-cool festival game, which now includes a ton of art, film, music, and food -- especially the Greek and Lebanese food festivals -- throwdowns that aren’t to be missed. Don't leave without: Hitting up Sloss Furnaces. It's an old pig iron-producing blast furnace turned interpretative museum of industry (and venue to boot). 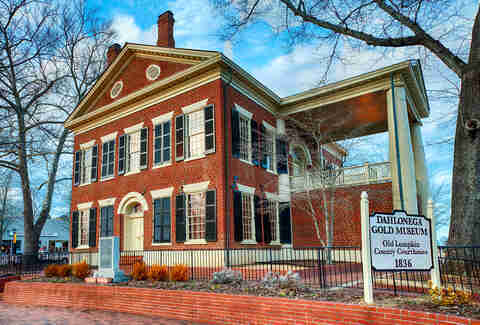 It's one of the city’s oldest, most famous sites, and also, notoriously haunted. Ever heard of Lumpkin, Georgia? 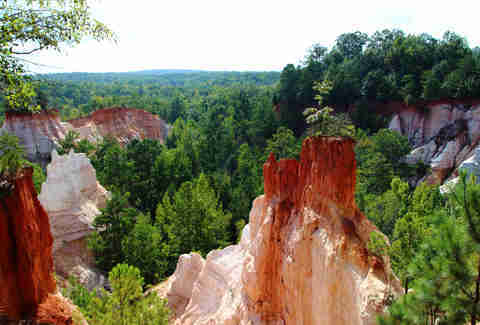 If so, thank Providence Canyon State Park, aka “The Little Grand Canyon,” for putting it on the map. With more than 1,000 acres of deep, rocky canyons caused by poor farming practices in the 1800s, plus native wildflowers and vegetation, it looks tremendously cool and totally out of place in Georgia. Don't leave without: Exploring the multiple gullies that punctuate the land (so bring your hiking gear). 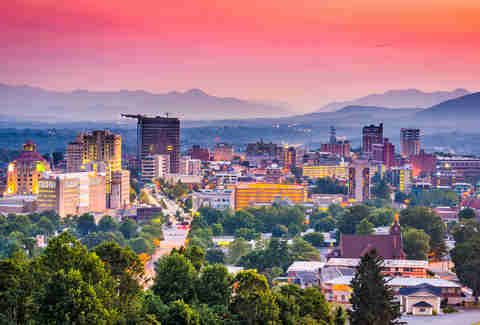 Asheville is nestled in the spectacular Blue Ridge Mountains, so it’s no wonder Frommer’s declared it one of the top travel destinations across the globe. 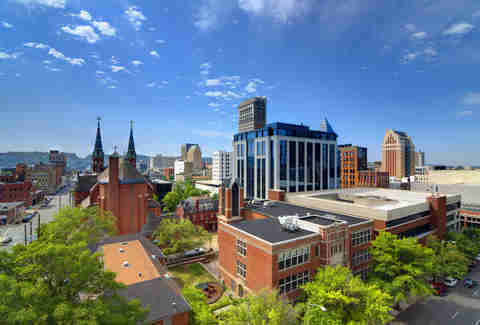 A healthy mix of college kids and families in a beautiful town, Asheville is also home to some of the country’s best microbreweries (Wicked Weed, New Belgium, Green Man, Wedge) and restaurants -- especially for burgers. If that all sounds good, but you'd rather work up an appetite, you'll find no shortage of outdoor activities in this mountain enclave, from rafting and rappelling to hiking and, uh, rafting some more. Don't leave without: Taking a tour of America’s largest home, the lauded Biltmore Estate. 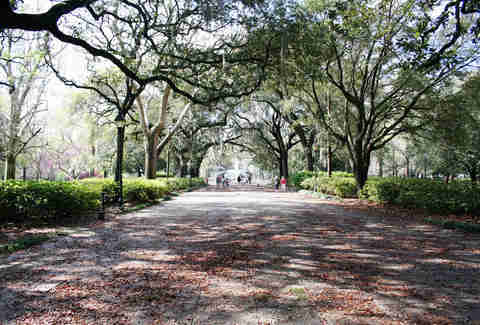 Be sure to check out Chippewa Square, where Forrest Gump was filmed. 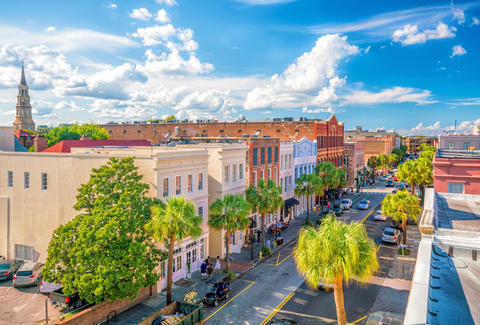 And, in addition to having some of the Lowcountry’s best golf, Savannah has gorgeous beaches and endless opportunities for fun in and on the water, like parasailing, kayaking, jet skiing, and more. All that water also means a lot of crazy fresh seafood that needs to be eaten. Don't leave without: Taking advantage of Savannah’s open-container laws while exploring the city’s historic center with a brew in hand. 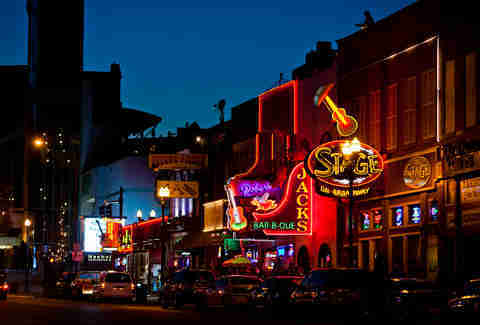 As if honky-tonks, Hattie B’s hot chicken, the world-famous Ryman Auditorium, and GooGoo Clusters weren’t enough to merit a spot on this list, pretty much every mile of Music City, USA is part of music history. Nashville also offers up some smooth, legit Tennessee whiskey, which isn’t gonna drink itself. Don't leave without: A tour and tasting at Nelson’s Green Brier Distillery, whose award-winning bourbon is a pre-Prohibition brand that’ll impress everyone from foodie/booze snobs to... well, everyone else. 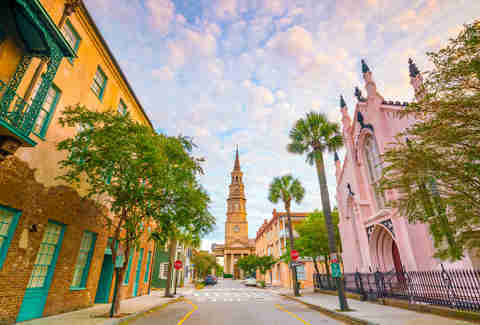 With dive bars and five-star restaurants aplenty, Charleston is well-known for being a food lover’s paradise. 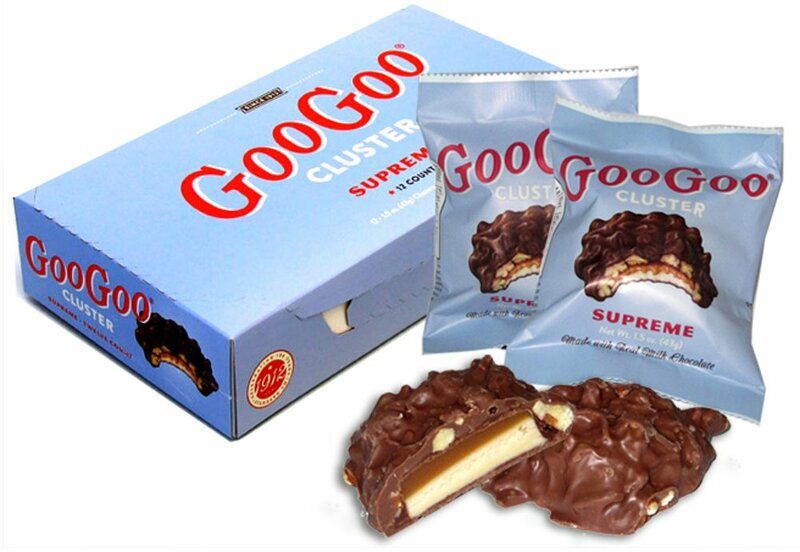 Their diverse culinary scene is undoubtedly a big part of why it’s been named the “No. 1 city in the US” by a plethora of publications year after year. Don't leave without: Grabbing a Big Nasty biscuit from Hominy Grill. Fresh fried chicken stuffed in a biscuit and smothered with Cheddar cheese and sausage gravy is worth the trek.